It’s Saturday night, and you’re ready to rock your new skinny jeans that are comfy and coincidentally make your stems look, literally, like stems. One problem — Mother Nature has shown up with her monthly gift, and a bag just doesn’t fit with your style.Tampax! Those pockets can’t fit much (maybe a bobby pin, a mint, a coin) but, luckily, Tampax Compak Pearl, with its 40 percent-smaller applicator (compared to the leading plastic applicator tampon), is little enough to tag along without cramping your style (no pun intended). Watch here to learn how to outsmart your period with Compak Pearl’s powerful pocket-size protection. Don’t let Mother Nature get in the way of looking fabulous! Click here to get free shipping on Les Halles jeans, courtesy of Tampax Compak Pearl. Available on Swirl.com until Sunday. Jewelry is something that can be timeless. This is the impression I get from LilyMe. Their jewelry is effortlessly chic, affordable, but not cheap in quality; trendy, timeless and all around beautiful in every form of the word. LilyMe offers personalized charm jewels for every occasion. There is not a better occasion than Mother's Day to show your mother your appreciation for her by giving her personalized jewelry. Parisian-born Gaelle is the beauty and brains behind LilyMe. Having settled in New England, she travels constantly between Europe and the United States filling her suitcases with Europe’s trendiest secrets to share with her American friends. In 2008 she decided that she must import one of Europe’s trendiest jewels: an easy-to-wear, personalized charm bracelet hanging on a colorful satin cord. LilyMe was an immediate success, and Gaelle developed her collection with a wide choice of the loveliest custom-made charms. The Hanging Circle Charm Bracelet ($38) that I received from LilyMe and the Family Review Network is lovely and breathtaking. I haven't taken it off ever since I received it in the mail. It is so lightweight that I don't know that I have it on unless I glance down. They have numerous choices of cord colors and I chose the black. I had my son's name engraved on the gold plated circle. 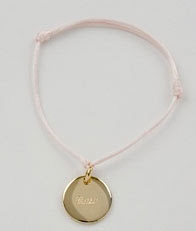 You can have words of your choice (9 letters max) to be engraved on this bracelet. Their impressive collection of french jewelry starts at $30. One winner will receive a $100 gift card to spend at Men's Wearhouse - perfect for prom! It is Prom season. Therefore, this is the perfect chance for you to make it a night to remember! To get swept into Prom fever, one lucky winner will receive a $100 gift card to Men's Wearhouse. You can enter this giveaway by sharing your favorite Prom memory or telling us your favorite prom look. Also, Men’s Wearhouse is getting into the Prom spirit by offering teens a chance to text, tweet and talk their way to a free tux or a $100 Visa Gift card or even a Camaro Coupe this year when they participate in the Men’s Wearhouse Prom Rep campaign. This doesn't have anything to do with our $100 gift card giveaway, but you might want to check this out as well. The program offers deep discounts and free tuxes to students who sign up to be a prom rep and recruit other students to rent their tuxes from Men’s Wearhouse. Reps who recruit ten friends to rent a tux from Men’s Wearhouse receive a free tux rental. Female prom reps who earn a free tux rental can give it to a friend or opt for a $100 Visa gift card. Head to http://www.menswearhouse.com/prom to check out all of the details and of course see the selection of tuxes. 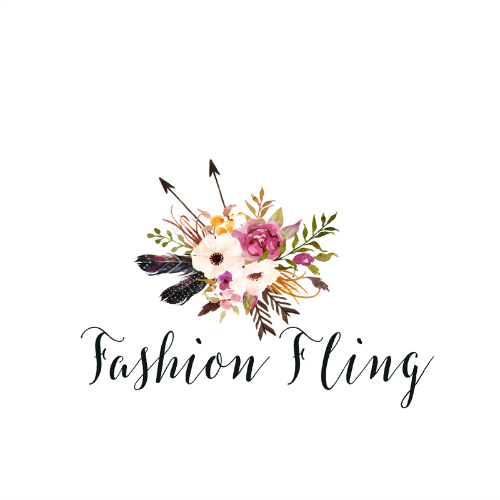 - Become a fan of Fashion Fling on Facebook. The giveaway will conclude April 25th. 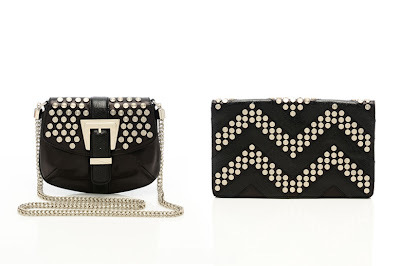 Rebecca Minkoff is launching a luxury line of handbags exclusive to Saks, which hits stores next week. The line fuses luxury skins and new intricately iconic rose gold and gunmetal hardware. The bags retail at $450 - $850. 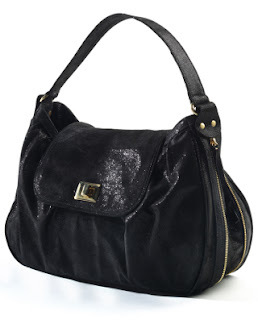 One winner will receive a Taqueria handbag (a $585 value) in Licorice from Amber Pollard. 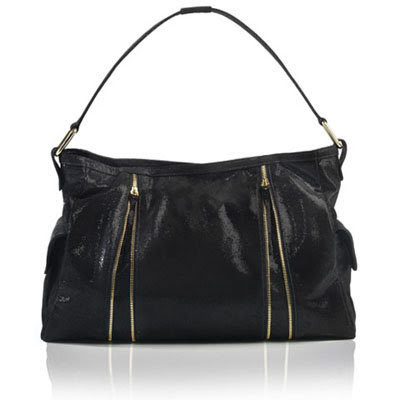 Amber Pollard handbags are functional without the sacrifice of style, and are for the confident woman-on-the-go who isn’t afraid to make a little noise. definitely get some attention, no matter where the day takes you. Amber Pollard, creator and designer, curates the entire collection of Amber Pollard haute lunch-friendly handbags — each one designed to fashionably carry everyday necessities and lunch wherever the day might lead. She inspires women to feel secure and to live a life full of passion and adventure. Sacrifice your style no longer! Select Amber Pollard handbags are available in all vegan materials. And with the insulated Lunch à la Mode™ lunch pouch, you can look haute while keeping your tofu cool. With several colors and a functional design, the vegan bag not only looks great and makes a statement, but can hold all of your necessities, whether you're painting the town red or a day at the office. Don't forget that you can carry your lunch in it also! These bags are practical, versatile and oh-so-stylish. I received the beautiful and saucy Cantina ($585) shoulder bag in Blue Lagoon. It has all the style and flavor every baganista craves and all the function you desire for a life on the go. This expandable bag not only holds your everyday necessities but keeps your lunch fresh and tidy with an exclusive Lunch à la Mode™ removable insulated lunch sack. The giveaway will conclude April 30th. Introducing the Samantha at OKA b. Undeniably glamorous, the Samantha heel flip flops are the talk of the town. With a sophisticated heel and crystal pendant to brighten your days and nights, these thong heel flip flop thongs will stop you from ever slipping up. As always, OKA b. comfortable shoes and sandals are American made! Click here for the latest coupons and deals for OKA b.
Deirdre O'Boyle and Stacy Rodgers are San Francisco based designers that like to work hard and play hard, which is why they create clothing for "kicking up dirt, and kicking up your heels." They launched their line in the kitchen with a handmade screen printing press, and have since grown into She-Bible. Recently the duo started adding organics to their line, and we couldn't be more thrilled. Kelly Barry's primary goal is to create fashionable clothing, but her environmental and social consciousness is a key element in her life - thus the creation of her eco-fashion pieces, featuring bold, bright colors and flattering silhouettes. Says Kelly, "Clothing is a form of art that everyone can relate too. Everybody wears it. It's a platform to get everything that is important to me out there." Raw Earth & Wild Sky is a sustainable style company founded by Karen Kananen and Samantha Robinson. Their love for fashion, concern for the planet, and the birth of their daughters were the driving force behind starting an environmentally conscious company. The line focuses on beautifully relaxed pieces with a well-crafted broken in look. Raw Earth & Wild Sky is committed to hand-making the entire line in Los Angeles, California. The Stewart + Brown team believes in optimizing their designs to attain the highest standard of quality and functional style, while extracting the bare minimum from the earth's resources. They apply the wisdom of sustainability by creating their line with earth friendly materials like organic cotton, hemp, and factory surplus fabrics. Rebe is designed by a creative mother-daughter team. Debra, the mom, received her degree in textile design from UC Davis, and then spent two decades raising three daughters on her own. When her daughter, Hillery, blossomed into an artist and designer, the two followed their dreams and went into business together. With each season, the pair incorporates more sustainable fabrics into their collection. 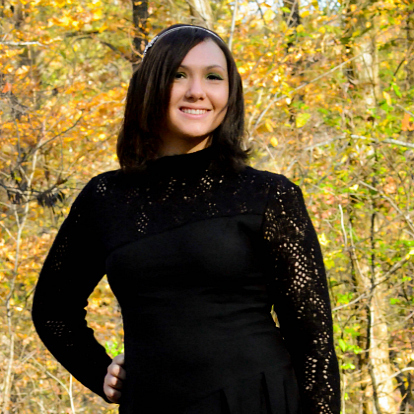 With 64% of American teens having poor body image, KYMARO® has announced its plan to increase self-confidence amongst high school students by giving them a reason to attend their proms – a head-to-toe makeover! The health & beauty brand is taking a positive action towards teenage body image issues by creating a facebook page, where teens can submit their story on why they are apprehensive about going to their prom. KYMARO®’s “Say Yes to the Prom Dress” is a nationwide contest enlisting high school students to put their confidence levels and writing skills to the test. Asked to submit a one page, heart-warming essay on why they don’t want to attend their prom, five lucky winners will have the chance to win a full makeover. A panel of image guru’s including a makeup artist, hairstylist, fashion stylist and fitness expert will work their magic to re-build the self-esteem these teens are craving. Similar to “Laney Boggs” in “She’s All That,” these stunning ladies will have the opportunity to show-off their $2,000 makeover which includes a new prom dress and accessories, two free prom tickets and transportation to and from prom. BJ Fazeli, Founder and President of BJ Global Direct, Inc., created the beauty and health empire, KYMARO® in 2004. With three daughters complaining about all different beauty blunders, his goal was to find the best products for all of their needs at the most affordable prices. “We are three sisters with three very different body types and have all struggled with different types of insecurities throughout our lives” said Romy Fazeli Alahmari, Creative Director. “I think this gives us an advantage because we understand how teen girls feel and now have the opportunity to show them ways to see the positive in themselves. We are so passionate about this contest because we are hoping to make a difference in these young girl’s lives”. KYMARO®’s “Say Yes to the Prom Dress” contest will take place between April-June in five regions dependant on the winner’s locations. Contestants may enter to win on the Kymaro® facebook page at. Peep Toes. Bright Statement Pumps. Glammed Up Gladdiators. Women update their shoe vocabulary with the seasons, so it’s no wonder that they have four times as many foot problems as men. Heels are partly to blame and lets not forget that between 8,000-10,000 steps are taken each day! Ouch, Dr. Teal's to the rescue. Tired and achy feet don’t discriminate. Whether training for a marathon or taking a leisurely walk, dress in work boots or prefer high heels, the feet carry the weight of a day’s hard work. And as the old adage goes, when your feet hurt, your whole body hurts. Dr. Teal’s Therapeutic Solutions, celebrated for their essential oil-infused Epsom Salt, introduces their newest soak with ingredients that favor—and savor—the feet. Just launched last month, Dr. Teal’s combines the power of its best-selling Epsom Salt Soaking Solution with the naturally soothing effects of Peppermint, for the ultimate relief of tired and achy feet. Dr. Teal’s Peppermint Foot Soak is an Epsom Salt based formula infused with foot friendly Peppermint essential oil, Menthol, a natural derivative of peppermint with cooling effects, and the added bonus of baking soda to address and prevent foot odor. Dr. Teal’s Peppermint Foot Soak is an easy way to feel the benefits of Epsom Salt on the body without the commitment of a full bath soak. With the average adult’s feet absorbing 1000 tons of force each day, it’s no wonder why we experience pain in our heels and arches and flock to the reclining chair at the end of the day. Sit back, relax and soak, Dr. Teal’s has discovered the solution for revitalizing the sole! Dr. Teal’s Peppermint Foot Soak is available for $3.99 at food, drug and mass-market retailers nationwide. For further information please visit http://www.drteals.com. We are pleased to announce that Dr. Teals is the official foot therapy product and an Official Sponsor of the Iron Girl National Event Series for 2010. One winner will receive the Black, Grey and Red Suede Hidden Platform Court Shoes (a $68 value). The giveaway will conclude April 14th.